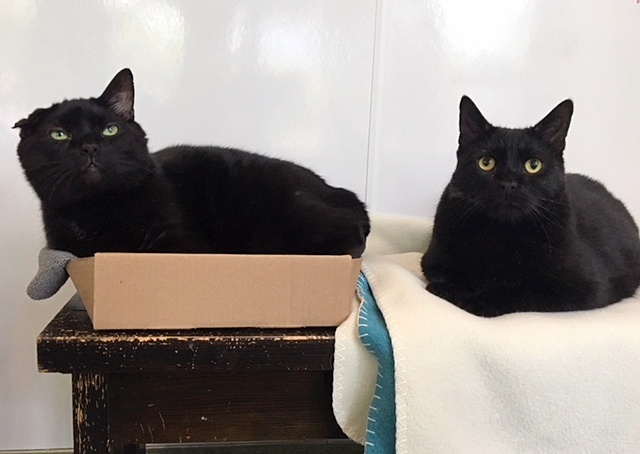 Baloo (folded ear) and Bagheera are two incredibly loving and cuddly 11-year-old brother cats who can’t wait to find their next loving home! These boys were brought to Pixie when their former owner lost their home, but it is obvious they were very loved and well-cared for as they are healthy and have the most wonderful temperaments. They are both big lap cats and will immediately seek attention from humans big and small who come to visit. Baloo is slightly more outgoing and will ask for pets and playtime as well! 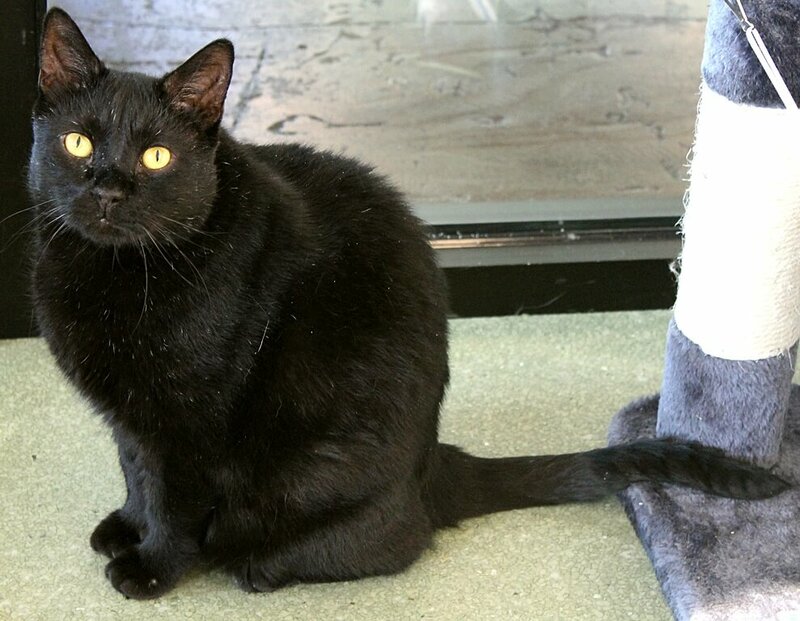 He is a big boy who likes to curl up in small spaces like little boxes around the cattery — which is just too cute! 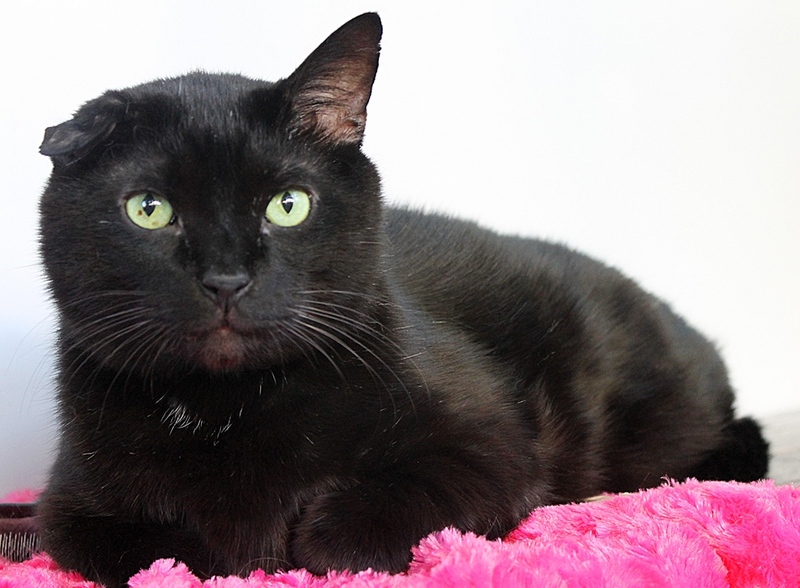 Bagheera is the more laid back of the two, but still welcomes cuddle time and affection just as much as his brother. 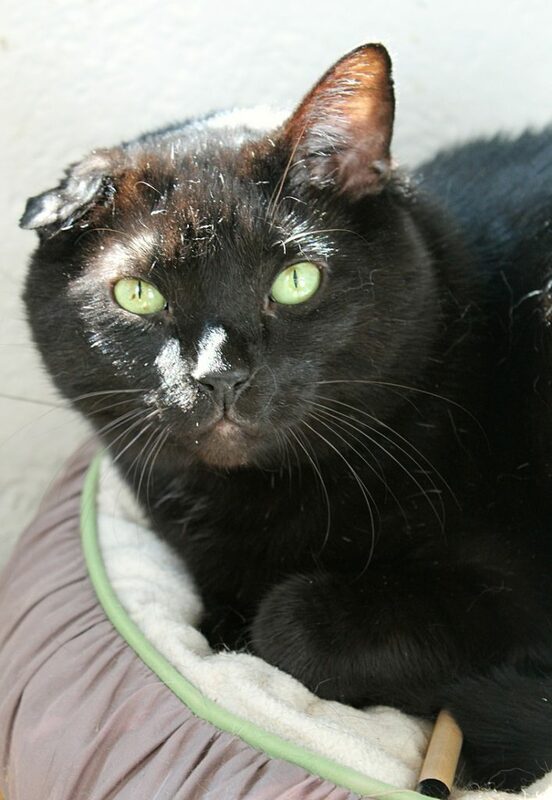 These boys have lived peacefully in the cattery among many other cats and only occasionally will have tiffs with other large males like them — in a home, they would likely do just fine with another mellow kitty like them, and seem to have no issues with dogs. They are very much in love with each other and are likely littermates who’ve been together their whole lives, so they would definitely be happiest if they can stay together, and will provide constant companionship for each other. These boys would do well in an apartment or house, and are really wonderful companion and family kitties! They have no health concerns and have recent bloodwork and dental work already done — they just need their forever family. Are you looking for big, loving, handsome man-cats to complete your home? The weather is cooling off, and you’ll need big bear hugs to get through the winter! Come meet Baloo & Bagheera today! They come to you fixed, vaccinated, and micro-chipped for a combined adoption fee of $144.